For spokespeople to be effective, it’s vital that they understand the nuances between lies, deception and spin. In other words, to lie, you must make some form of statement; you cannot lie by simply omitting facts. If you omit facts to create a false impression, you are practicing a form of deception. 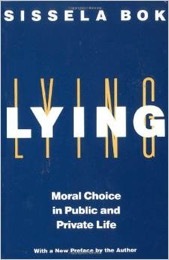 In a presentation to the American Political Association a few years ago, political scientist John J. Mearsheimer provided a definition of spin that I have used many times because it clearly delineates spin from both lying and deception. According to Mr. Mearsheimer, spin occurs when someone links together facts in a way that attempts to portray an individual or organization in the best possible light. Chances are, if you’ve ever sent out a résumé, you have practiced a form of spin. Spin involves downplaying or ignoring certain facts that would create a negative perception, and emphasizing those that create a positive perception. The emphasis is on making the individual or organization look as good as possible by focusing attention on the positives. The thin line between spin and sin lies somewhere between the creation of a true impression and a false impression, resulting from which decisions or facts are included, which facts are omitted, and how the facts are structured. In other words, if the facts are true and the impression left by those facts is true, the overall approach is ethical. However, if the facts are true but the impression left by the selection or organization of those facts is false or misleading, the precise location of the ethical line needs to be discussed or reviewed by all those involved. If we leave this impression, are we opening ourselves to criticism? If the facts are untrue, and people in the organization know them to be untrue, the organization is lying. Spin is not necessarily a form of deception, provided that the story created by the facts is not intended to mislead and the facts underlying the story are true. But the line between spin and sin is definitely crossed when there is no conscious effort to portray an accurate or truthful version of the story. The only protection someone has against deception, lies or spin is asking questions. By definition, this makes the skill of answering questions extremely important if an organization’s spokespeople hope to maintain high moral ground during situations of real or perceived hostility. By asking questions, stakeholders and journalists can determine which facts are highlighted and which are ignored, and whether the person answering questions is engaging in some form of deception, lie or spin. This is why interviews, not just résumés, are important to the hiring process. From a formal perspective, this is what happens when prosecutors and defense attorneys (or plaintiffs and defendants) square off against each other in a court of law. This is also what happens in the court of public opinion when reporters ask spokespeople about the actions, activities, opinions and behaviours of the organizations they represent. And, in an information-driven world, this makes the skill of answering questions clearly and concisely absolutely critical, and pause-answer-stop the foundation on which the line between spin and sin can be constructed and maintained. After a disappointing hockey season for the Ottawa Senators of the National Hockey League head coach Dave Cameron was fired. During his subsequent media exchange with the owner, Cameron proved to be a polarization pro. In announcing the firing, Eugene Melnyk, owner of the Senators, made pointed remarks about Cameron's coaching style. “It was inconsistency and some stupidity,” said Melnyk, pointing to Cameron’s decision to start rookie goalie Matt O’Connor in home opener Oct. 8. A natural reaction to polarization is to meet the opposition head-on. Imagine John Tortorella, head coach of the Columbus Blue Jackets and previous head coach of the Vancouver Canucks, reacting to the comment if it was made toward him. He likely would have used colourful language to tell Melnyk that until he learns to skate and shoot a puck his opinion on the matter is irrelevant. Instead, Cameron took a more effective approach to handling polarization. He remained logical and professional, using Melnyk’s open hostility to pull people to a more reasoned perspective. “He can evaluate me all he wants, my coaching, he can fire me, I understand all that," Cameron said in a news conference on April 14, 2016. About 25 years ago, I developed a “Managing Polarization” model to help my clients navigate their way through issues effectively. Polarization arises as a result of issues, and the dictionary defines an issue as "an unresolved problem with the potential of escalating into a dispute." When someone "takes issue" with an individual or organization, they are mapping out the boundaries of that dispute. 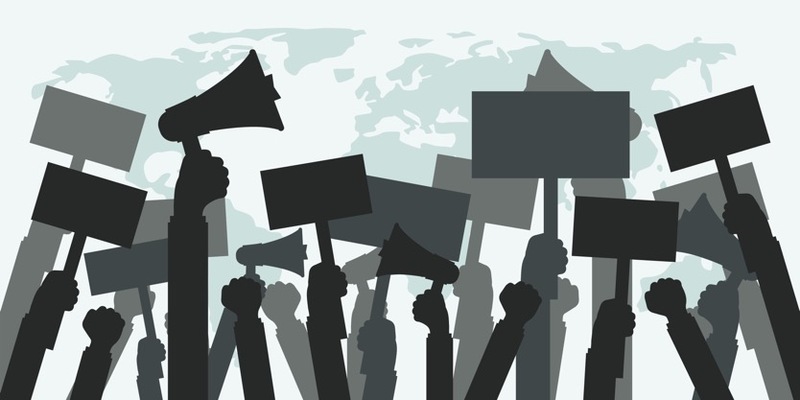 Theoretically, the opinions toward any issue can be mapped along a spectrum that goes from openly hostile at one end to openly supportive at the other. Those with no opinion can be found somewhere in the middle. As you move toward the outer edges of this spectrum to openly hostile or openly supportive, you move from a logical perspective to an emotional perspective. When dealing with a group or individual who is openly hostile in an emotional way, it is essential to remain in the supportive but logical side of the spectrum. Allow others to explore your logic by answering questions and keeping your answers short. The more questions you answer, the more transparent you will be. By being objective, you allow their hostility to push people toward your perspective. Dave Cameron is a case in point. He faced negative opinions from the organization and fans. It is no secret that the Ottawa Senators did not have a particularly successful season and a lot of the blame ends up with the coach. Even if you agree with Melnyk’s opinion, as a human being it is difficult to take his side when he is on the openly hostile end of the spectrum and belittling another human being. Cameron implemented the Polarization Model flawlessly. He is truly a polarization pro.